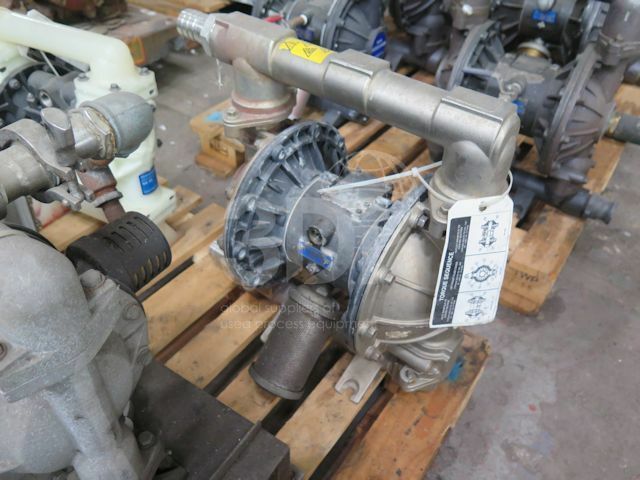 Used 379 L/per min Air Operated Diaphragm Pump, manufactured by Verder, Model VA40 metalic, Series 23E80D, Configeration No. VA40-SS-SS-TF-TF. 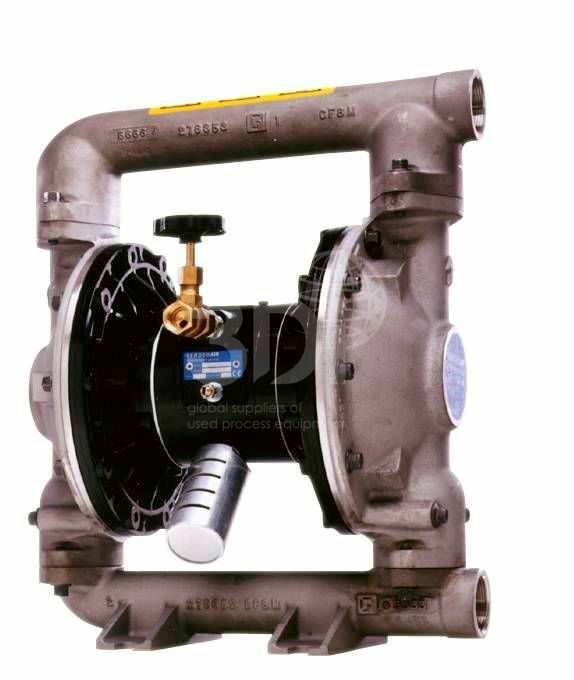 Material of construction: stainless stelel fluid section, stainless steel air section, stainless steel check valve seats, teflon check valve balls, PTFE diaphragms.